St. Pete/Clearwater Beach Wedding Package That Works..
St. Pete/Clearwater Beach Wedding Package That Works.. was last modified: December 2nd, 2016 by Bobbi Perry, "Your Florida Beach Wedding Specialist"
Probably the most popular question that we receive from our couples is “What is the best beach for a Florida Beach Wedding?” We would love to tell you that there is just one that ranks at the top of our list but the truth is that while all of our Beaches are beautiful they each have their own unique personality and qualities. It’s important to us that when we answer this question we know a little bit more about you and what you envision for your Wedding day. Are you looking for a beach that offers the most privacy or do you want the convenience of walking to your Ceremony site from your hotel? Questions like this need to be answered before you make your final decision on where you would like your Florida Beach Wedding. Over the next couple of weeks we are going to spotlight the Florida Beaches that we most commonly recommend. How are we going to do this? By video of course! We can go on an on about the beaches over the phone or by email but lets face it, nothing beats pictures!! Each week we will post a new slide show video that will show off weddings that have been planned at each location and then tell you a little more about what the beach has to offer. First up is Sunset Beach in Treasure Island! Sunset Beach is perfect for Weddings with fewer than 50 Guests. Located in a residential area it is away from the large hotel chains, beach cabanas and bars. It is the perfect setting for an intimate Ceremony and has lots of photo opportunities with it’s boardwalks, rock jetties, and amazing sunsets. There is plenty of metered parking for your guests and public restrooms. Additionally, the Beach Pavilion can be rented out as an affordable option for your casual reception. You might even catch the dolphins playing nearby as the sun begins to set! For more details on having your Treasure Island Florida Beach Wedding contact us at (813) 852-2795 or visit our Florida Beach Wedding Package Page. Sunset Beach – Florida Beach Wedding Spotlight was last modified: February 16th, 2015 by Bobbi Perry, "Your Florida Beach Wedding Specialist"
I’ve been thinking that it might be informative to start blogging about some of the Restaurants that we recommend to our couples. 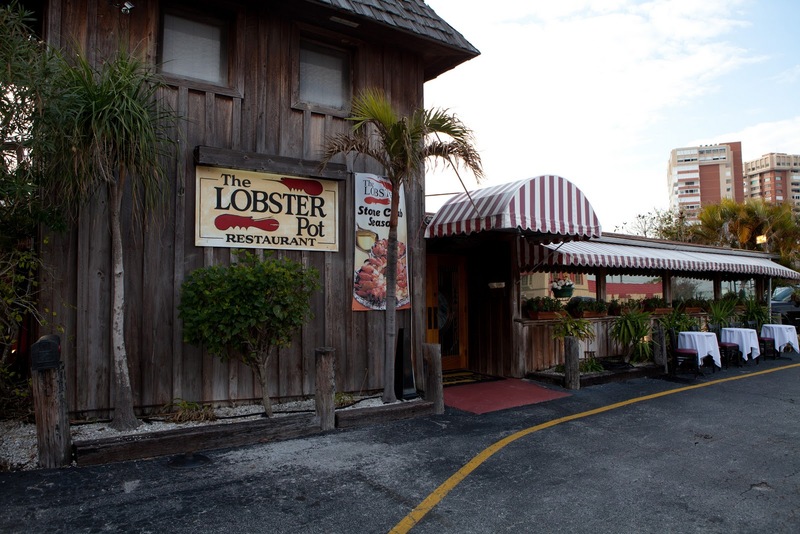 So with that in mind I decided to start with The Lobster Pot Restaurant located in Redington Shores. 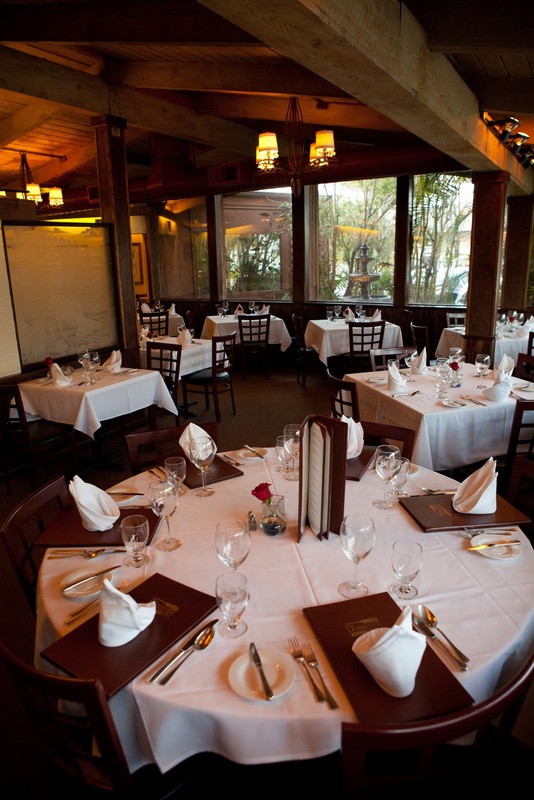 This award winning Restaurant has been an icon in the Bay area for over 33 years and has been voted “BEST LOBSTER” by Tampa Bay Magazine for the past 13 years. 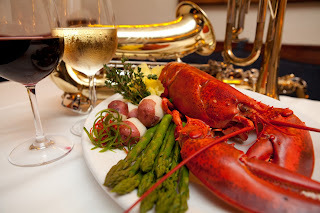 Their menu features lobsters from around the world, fresh local seafood, distinctive meat selections, and an extensive wine list. You can expect a fine dining experience with their staff’s attention to detail and knowledge of both the menu and wine list. 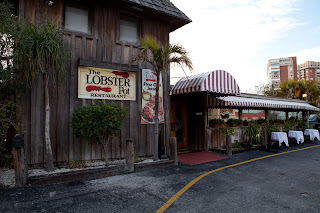 Booray and I recently had the pleasure of dining at The Lobster Pot and the food was exceptional. The only problem we anticipated was that I’m allergic to shellfish! I’ll be honest, I expected that Booray would get an incredible lobster (“Best Lobster” 13 years in a row is no accident) but what I didn’t expect was one of the best steaks that I have ever had. I have to admit that I’m a bit of a steak snob but Chef Steve prepared a steak for me that was melt in your mouth delicious! Booray opted for the steak and lobster and said it was one of the best he’d ever had too. So whether you are thinking of having an intimate dinner for two or a dinner reception for your out of town guests The Lobster Pot is close enough to all of the Beaches from St. Pete to Clearwater that you won’t have to travel far. When you book your reception with them they custom print menus for you and your guests, offer Limo or Taxi transportation, and coordinate their weekly fresh flower order to coordinate with your Wedding colors. Their front dining room can accommodate a reception as large as 75 people and their back dining room can accommodate around 34 people. 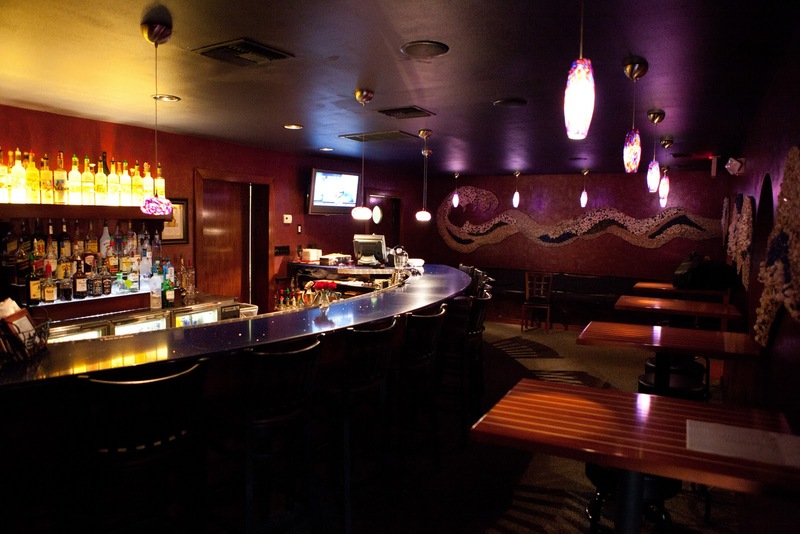 On the weekends they even have live jazz music in their Martini Lounge! If you would like additional information about making dinner reservations or reserving The Lobster Pot for your reception contact Laurean Vincent at 727-460-9485. The Lobster Pot Restaurant was last modified: May 7th, 2015 by Bobbi Perry, "Your Florida Beach Wedding Specialist"
Bobbi Perry on You Bring the Fun, We Deliver the Memories! Anonymous on You Bring the Fun, We Deliver the Memories! Offering All-Inclusive Florida Beach Wedding Packages for Clearwater Beach Weddings, Sand Key Park Weddings, Redington Beach Weddings, Indian Rocks Beach Weddings, Madeira Beach Weddings, Treasure Island Beach Weddings, St. Pete Beach Weddings and all of the Tampa Bay Area. "Bobbi and her team were truly wonderful to work with, I could've never have planned our wedding from 1,000 miles away without her."